About 44 percent of pregnant women on the Blackfeet Tribe reservation in Montana tested positive for opioid use. In what one lawyer called a “historic” move, 448 Indian tribes filed an amicus brief in a pair of leading opioid cases to describe what they called the “tragic and stunning” impact on their communities. The tribes filed the brief three days before Columbus Day—what some now call Indigenous Peoples Day—and represent 78 percent of the total number of “federally recognized” tribes. They demand special recognition as sovereign governmental entities for tribal communities, where the surge in opioid abuse has disproportionately affected Native Americans. Timothy Purdon, co-chairman of the American Indian law and policy group at Robins Kaplan, said the number of tribes who signed onto the amicus brief was unprecedented. Purdon is one of more than 60 lawyers who signed the brief, filed in two cases that U.S. District Judge Dan Polster of the Northern District of Ohio selected as bellwethers for Native Americans that he put on a separate discovery track. More than 60 Native American tribes have sued opioid manufacturers and distributors, said Purdon, whose firm is among a half-dozen plaintiffs firms spearheading the Native American track. Many tribes lost initial fights over whether their cases should be in tribal or federal court, where Polster is overseeing a multidistrict litigation docket that now surpasses 1,200 lawsuits. The primary discovery track focuses on cities and counties, the vast majority of the opioid lawsuits. On Friday, a magistrate judge issued a report and recommendation rejecting dismissal of most claims in a case brought by Ohio’s Summit County and the city of Akron. Many of the claims in that case, such as racketeering and public nuisance, are the same in the two Native American cases. But the Indian tribes raise separate standing arguments, insisting they are sovereign nations unlike cities and counties. 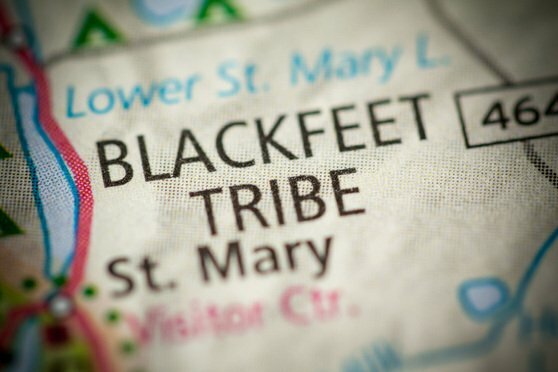 The Blackfeet Tribe of the Blackfeet Indian Reservation in Montana filed one of the cases on June 26, noting that 44 percent of pregnant women on the reservation tested positive for opioid use. The Muscogee (Creek) Nation of Oklahoma filed the second case on April 3. Manufacturers of opioids, such as Purdue Pharma and Endo Health Solutions, filed a joint motion to dismiss both cases, and distributors AmerisourceBergen Corp., McKesson Corp., Cardinal Health Inc. and others filed similar motions. Several pharmacies also moved to dismiss the claims. They raise many of the same defenses as in other opioid cases, such as federal pre-emption, a “novel” public nuisance theory and a failure to link the defendants to their alleged harms. Both tribes opposed the motions to dismiss last month. Polster invited other tribes to weigh in on the arguments, Purdon said, and the amicus brief followed. The brief tells how opioids have ravaged Indian communities, from skyrocketing medical costs to an “existential threat to tribal cultures.” It cites statistics showing that the American Indian and Alaska Native population has a higher rate of mortality due to opioid abuse, more youth substance abuse and a higher volume of opioid prescriptions than do other races. The brief points out that the opioid crisis has put an “incredible strain” on Indian communities that already lack sufficient resources to pay for health care, child welfare, housing and law enforcement—something that any potential opioid settlement should recognize. In fact, the brief points out that tribes, whose interests have historically diverged from the states, were “largely cut out” of the funds obtained through the $246 billion settlement with Big Tobacco master settlement with Big Tobacco that went to U.S. states.